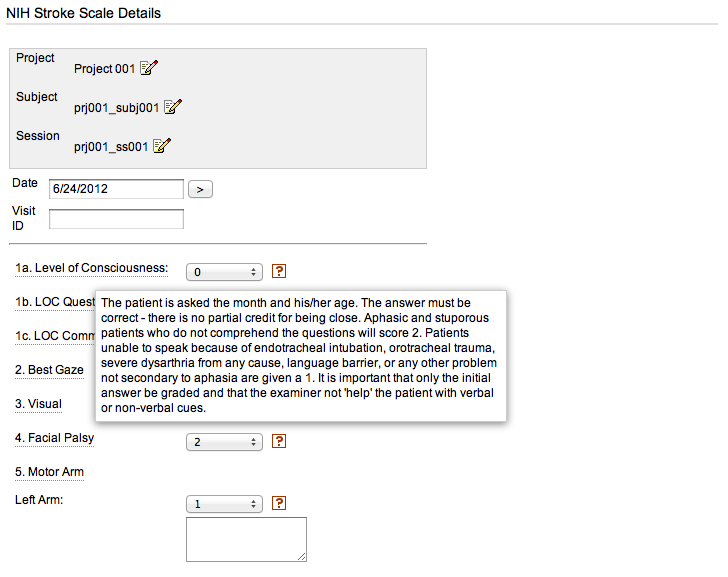 This module implements an assessor for the NIH Stroke Scale data-type, including edit and report pages. You can find out more about the NIH Stroke Scale at http://www.nihstrokescale.org. This module is based on the NIH Stroke Scale implemented for the CNDA by Joel Balestra.